Twenty honorary degrees from various institutions around the world. Elisabeth Kübler was born one of identical triplets. She wanted to become a physician and worked as a hospital volunteer during World War II. She graduated from the University of Zurich in 1957. In 1958, she married Emanuel "Manny" Ross, a fellow medical student from the USA, and the couple moved to America, where she remained the rest of her life. Dr.
Kübler-Ross established herself in psychiatric practice, and was later appointed assistant professor at the University of Chicago Medical School. Her treatment of terminally ill patients, as well as her dismay over the lack of courses addressing death and dying in medical schools, led her to conduct research that became her famous work, On Death and Dying (1969). Her Kübler-Ross model, also known as The Five Stages of Loss, was widely accepted and revolutionized how the medical professions take care of the terminally ill today. 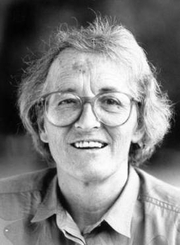 Elisabeth Kübler-Ross is currently considered a "single author." If one or more works are by a distinct, homonymous authors, go ahead and split the author. Elisabeth Kübler-Ross is composed of 37 names. You can examine and separate out names.